This article was originally published in Familia, journal of the Ulster Historical Foundation (volume 2, no. 7, 1991). ​One of the reasons for the prominence of the Irish was the fact that, while a few in numbers, they tended to be concentrated in specific occupations. Excluding the Irish administrators who could be found in any part of the British Empire, there were several professions and trades in South Africa which attracted the Irish. There were the professional men: the lawyers, dentists and doctors. Though part of middle-class society in the colonies, they retained their attachment to Ireland There were the Irish Catholic priests, led initially by the Wexford-born Bishop Griffith, and especially strong in Eastern Cape. There were the retailers, their profession dominated by Ulster Protestant-owned chain stores such as John Orr, William Cuthbert and R. H. Henderson - well-known names even today. Irish journalists worked on major newspapers and often edited them, the most important being Frederick St. Leger, founder and editor of the Cape Times. In the 1890's the railways and the diamond and gold mines absorbed numbers of Irishmen as well. And finally there were the Irish in British Colonial police forces. ​Nineteenth-century South Africa did not attract mass Irish migration, but Irish communities were to be found in Cape town, port Elizabeth, Kimberley, and Johannesburg, with smaller communities in Pretoria, Barberton, Durban and East London. As one would expect, a fair number of those in British colonial service in the sub-continent were Irish. The two major British colonies of South Africa were the Cape of Good Hope, British since 1806, and Natal, taken from the Boers in 1842. Both regions proved to be a security problem for the British, who held them essentially to protect their route to India. Three wars were fought against the Dutch and the Boers, who had been at the Cape since 1652. In addition, seven wars were fought against the Xhosas on the Eastern Cape frontier, one major war was fought against the Zulus; and several African insurrections had to be dealt with by the British authorities in Natal. But despite this sizeable military presence, the settler population, especially in the Eastern Cape around Grahamstown and in Natal, was ever nervous of an African uprising or of a Boer invasion from the Transvaal Republic. 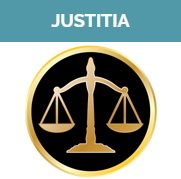 There was also the problem of crime, especially cattle rustling, and the magistrates needed their own armed units to impose justice in the African areas and to collect the 'Native Hut Tax'. The obvious solution was to form small, disciplined, armed and mounted paramilitary police units. Other police forces existed for varying periods. 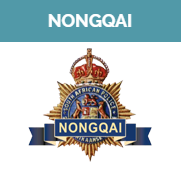 There were the Griqualand West Police, the Piquetberg District Mounted Police Force, the Mashonaland Constabulary, the British South African Police and the Bechuanaland Border Police. 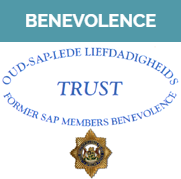 In the 1870s in the Cape there was a Special Rinderpest Police unit and in 1902 a temporary Natal Border Police was set up, centred in Vryheid. But the two largest police forces were the Cape Police and the Natal Police. The records of the CMP and the NMP are incomplete so exact figures of the Irish component cannot be given. Sixty-five boxes of CMP enrolment forms survive in the Cape Archives in Cape Town and 16 books of NMP records in the Natal Archives in Pietermaritzburg. 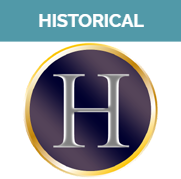 These surviving records mainly refer to the 1890s and the first decade of the 20th century. From them 634 Irishmen have been identified in the CMP and 376 in the NMP, making a total of just over 1,000 men. As these police forces were not large - NMP never had more than 300 whites - so the Irish constituted a sizeable proportion of the men, perhaps a quarter of the CMP and maybe more in the NMP. The average age of new Irish recruits in the CMP was quite high at 24 and a half years old. This is explained by the fact that some 45% were already living in South Africa for less than one year and 28% were recruited directly in Ireland. Men joining from Ireland had their third-class fare on a Union Castle liner paid for them by the police. Recruits, who at first had to buy their own horse, were paid six shillings a day. They had to be over 5'6", with a chest of 34" or more, weighing 175 pounds and aged between 18 and 30. Pay was not very good. They signed up for three years but could, and did, often purchase their discharge at a rate of £15 during the first year, £10 during the second and £5 in the last year. Both the NMP and the CMP were very cosmopolitan. There were to be found in their ranks Canadians, Americans, Australians, Germans, Russians, Norwegians and Anglo-Egyptians, as well as those from the British Isles and local South African recruits. The last of these included a number of men who called themselves 'colonial Irish', that is born from South Africa of Irish parents. The police forces attracted a cross-section of Victorian society. The occupations given by new Irish recruits included: doctors, engineers, accountants, a large number of clerks, grooms, telegraphists, labourers, miners, commercial travellers, porters, waiters, firemen, shop assistants, farriers, lawyers, men terming themselves 'gentlemen', barmen, a circus artist and a divinity student from Tipperary. But the largest groups, comprising 60% of the Irish in the CMP, were either former military or Royal Irish Constabulary men, or farmers and sons of farmers, both categories deemed capable of riding a horse and shooting straight. There was a high proportion of middle-class and skilled Irishmen in both police forces: in the CMP only 6% of the Irish were unskilled and in the NMP a mere 4%. This reflects the fact that destitute Irish migrants tended to ignore South Africa. None the less these police forces reflected Irish society in that the main occupational and social divisions of late Victorian Ireland were represented. There were even a few Gaelic Irish speakers in the CMP. But perhaps more interesting than that was the religious breakdown of the Irish troopers in the police, a reflection of the general pattern of Irish society in southern Africa at the time. Of those Irishmen who stated their religion when they enrolled, 60% were Protestant from all parts of Ireland and 40% were Catholic. In the CMP, of the Irish Protestants 65% belonged to the Church of Ireland and 35% were nonconformists, mostly Presbyterians. "We are afraid we could not induce the Irish labouring classes to come to this colony in anything like sufficient numbers. They know nothing of it beyond having a dim idea that it is associated with Kaffir wars; but they know all about America and Australia, or think they do, having heard them talked about from their infancy by those who had friends there." Thus South Africa was bypassed by the great waves of post-famine Irish migrants. 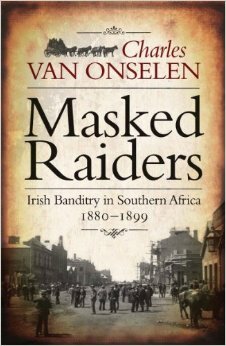 In 1904 there were about 20,000 Irish-born people living in South Africa, though there were many more of Irish descent. But those who did come to South Africa are of interest, for they tended to be either the better off, hence the higher proportion of Irish Protestants than would be found in Australia or the USA, or they were strong and adventurous. The two Irish commandos which fought for the Boers in the second Anglo-Boer war are famous, but there had been previous Irish commandos in the subcontinent as well as Irish revolutionaries, big-game hunters and explorers. Life in the police force often meant living for days on and in the saddle, coming under fire, breaking up African faction fights and being ordered about by arrogant soldiers contemptuous of the colonial police. Danger interspersed with long periods of boring routine led many Irish policemen into trouble and the turnover of Irish recruits was high, few surviving more than three years. Some, like Robert Austin of Enniskerry, deserted with horse and revolver. Troopers were constantly being fined or demoted for drunkenness or improper behaviour: Victor Morris of Dublin got 14 days confined to barracks for creating a disturbance in a brothel; William Thom of St. Peters, Roscommon, was discharged in 1904 for 'having a colonial woman in his barrack room'; and Thomas Treanor of Mayo was admonished for 'making a rude and insolent remark to the [Natal] governor', Sir Matthew Nathan, Ireland's lord-lieutenant in 1916. ​But many Irish policemen distinguished themselves in South Africa. To quote the discharge forms, they had 'sobriety, zeal and efficiency'. They often were good linguists and we find Irish policemen in South Africa speaking Dutch, Xhosa, Zhulu, Matabele, accomplishments for which they were tested and received extra pay, as well as Spanish, French, German, Latin, Greek, Italian and Irish. Few who were asked admitted either belonging to a secret society or to having a venereal disease. There were many Irish chief constables with names such as Sullivan, Whitsitt, Shea, Hagan (Armagh), Molloy. Famous Irish police inspectors in South Africa included names such as Blake, Dorehill, Lyttle, Prendergast, Keating, Lindsay and Esmonde-White. Two of the NMP's six sergeant-majors, Shackleton and O'Brien, were Irish. An interesting phenomenon of the colonial South African police is the large number of sons of eminent or well-to-do Irish people who were sent to join one of the police forces. One such example was William Porter, son of Reverend Classon Porter of Belfast and nephew of the Honourable William porter of Limavady, the celebrated Attorney-general at the Cape who gave the vote to educated blacks in the 1870s. Young Porter, from Larne, joined the NMP in 1881. Another was William henry Carson, son of Sir Edward and Lady Carson, who joined the CMP in 1905. ​Donal P. McCracken is professor of History and dean of Humanities at the University of Durban-Westville in South Africa. He is also the author of several publications. Click here to visit Donal P. McCracken's page on Amazon.com. For a detailed analysis of the Irish in the region, see D.P. McCracken. (ed. ), ​​The Irish in southern Africa. 1795-1910, (Perskor, Johannesburg. forthcoming in 1991). The author is grateful to Mrs P. A. McCracken for assistance in researching this article and to the University of Durban-Westville for providing a research grant. See, for example, R.H. Henderson, An Ulsterman in Africa, (Cape Town, 1944 and 1945 ed.). Jack Jewell, A history of the Durban City Police, (Durban, 1989). For Irishmen. see pp.41 and 99-103. See also Natal Archives, Durban corporation papers, superintendent of police reports, 5/25/31-5, (1865-1903); minutes of the borough police board, Al/I, (1856-61); and reports El/I, (1897). For Irish policemen in the pioneering days of Rhodesia. see D.W. Lowry, 'The Irish in Rhodesia', in McCracken, (ed. ), The Irish in southern Africa, (forthcoming); and Col. A.S. Hickson, 'The Mashonaland Irish', Rhodesiana, no.5(1960), pp.1-6. Dictionary of South African Biography, p.786; and Barry Ronan, Forty South African Years, (London,1919), pp.174-5. Inspector Lorimer of Armagh set up the Cape's CID unit. See S. Monick, Shamrock and springbok: The Irish impact on South African military history, 1689-1914, (Johannesburg,1989). Cape Archives, Cape Town, Cape Mounted Rifles papers, CMR, DD,7/33, (1855-59). 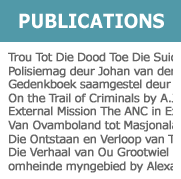 The Cape Archives contains an extensive collection of papers on the Cape Mounted Police. These are in 161 boxes; vol. 87A also contains enrolment names for the Griqualand West Border Poice for the early 1880s. On 1 October 1900 The Bandolier, the regimental monthly of the Cape Mounted Police, began to be published in Kimberley. The South African Library in Cape Town has an incomplete run of this periodical. The Natal Archives in Pietermaritzburg houses 16 volumes of manuscript material on the Natal Mounted Police. Volumes 2, 5, 6, 7, 9, and 10 contain enrolment details. Books on the force include H.P. Holt, The Mounted Police of Natal, (London, 1913), and Major Arthur A. Wood, Nonqquai: Natal past and present, (Ilfracombe, 1962). On the Irish 1820 settlers, see G.B. Dickason, Irish settlers to the Cape: A history of the Clanwilliam 1820 settlers from Cork harbour, (Cape Town, 1973). D.H. Akenson, Occasional papers on the Irish in South Africa, (Grahamstown, Rhodes, 1991),p.64. D. P. McCracken, The Irish Pro-Boers, 1877-1902, (Perskor, Johannesburg, 1988), pp.141-9. P. Colum, Arthur Griffith, (Dublin, 1959), p.32. M.C. Seton, 'Irishmen in South Africa', The Gael, January 1900, P.19. T.K. Daniel, 'Irish networks', in McCracken, (ed. ), Irish in southern Africa, (forthcoming). Natal Volunteer Record: Annals and rolls of service in the Anglo-Boer war, 1899-1900, (Durban, n.d.), pp.89-93 and 181-4. G.A. Chadwick, The role of the fifth (Irish) brigade in the battles of Colenso and Tuqela Heights, (pamphlet, Durban, 1990). The Times, 20 June 1901; and 'The Irish hospital corps (field force) in South Africa', The Royal Irish Constabulary Magazine, vol.1, no.9, July 1912; 11.1, Nov.1912; 11.2, Dec. 1912,11.4, Feb 1913; 11.5, March1913; and 11.6, April 1913. The Bandolier, l August 1908. Personal communications from Dr J. Tate, Mr Stanley Fletcher and Mrs M. Verrier. The names of many notable Irish policemen in South Africa can be found in either the volumes of the Dictionary of South African biography or Men of the times (the Cape edition is dated 1906 and the Transvaal edition 1905). On the other side of the coin, some South African prisons had a high proportion of Irish inmates. See, for example, the Cape Archives, P.O.C. (Breakwater Prison), Vol.11,1986.